lemental learning materials, and classroom resources. Carson-Dellosa proudly provides the best possible educational materials produced by the industry’s most recognized and respected award-winning brands including: Learning Spot™ Lessons, Summer Bridge Activities™, Mark Twain Publishing, Key Education, HighReach Learning®, Frank Schaffer®, Spectrum®, Judy® Instructo, American Education Publishing™, and Brighter Child®. 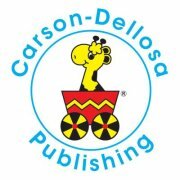 To learn more about Carson-Dellosa, visit carsondellosa.com, Facebook.com/CarsonDellosa, Twitter.com/CDPub, Pinterest.com/CarsonDellosa or YouTube.com/CarsonDellosaPub. As I have mentioned before we are a board game playing family! We love that time together as a family or with friends. With our kids we love to play games for fun, but we also love games that while having fun they are also learning. I was recently give the chance to review some great products from Carson Dellosa. Some of you will remember the review I did a few months ago for Carson Dellosa's Summer Learning Gift Pack. We loved this product so I was thrilled to try out more of their products. The next item we were sent is Where's Mama. Where's Mama is a matching game where your little one plays a matching game with mama and baby animals. 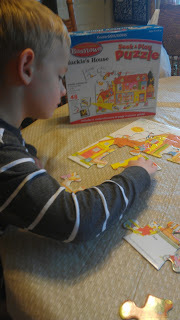 My 4 yr old loves to play matching games so this was a lot of fun for him. I also really like this game for our 20 month old. 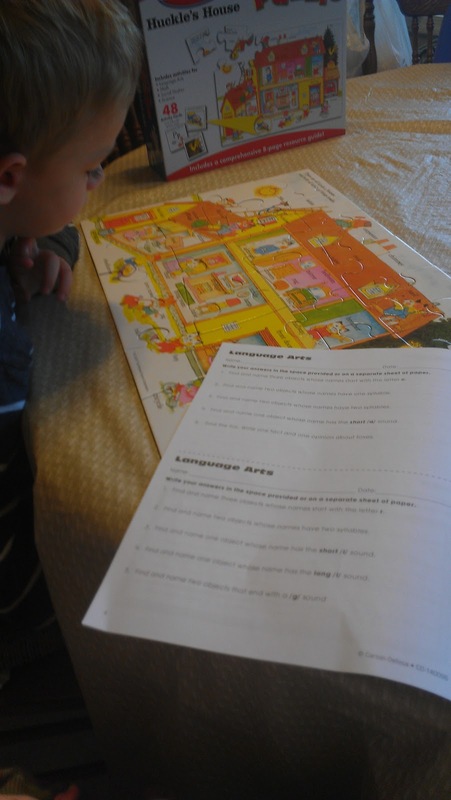 Now while he obviously does not gather the concept of matching it is a great tool in teaching him animal names and showing him the difference between the babies and mama's. He thinks the cards are great and has a lot of fun with this as well. He actually grabs this out of our game bin a lot! Lastly we were sent Alphabet Ants. 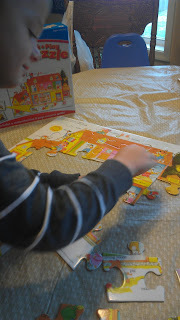 In this game your kids will match up uppercase and lowercase letters. When they find a match the puzzle pieces will form a picture of something that begins with that letter. So they are learning and then being rewarded by forming this picture. We have been homeschooling our 4 yr old and learning to write his letters is something we have been working on a lot and this has been a fun activity to add to that part of our schooling routine. We are loving all of these Carson Dellosa products. You can purchase these items for your kids directly from their website and one of you will win one of each of the items above! Please fill out the entry form below for your chance to win. This giveaway will be open until Monday Nov 26th. Good Luck! I also like their colorful owls prize pack stickers. I also like the Snow Pals Shape Stickers.